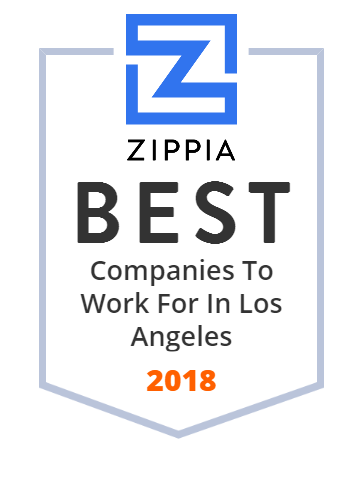 We hand-curated a list of the biggest companies to work for headquartered in and around Los Angeles, CA using data on salaries, company financial health, and employee diversity. The Los Angeles Unified School District is the largest public school system in the US state of California and the 2nd largest public school district in the United States. Forever 21, stylized as FOREVER 21, is an American fast fashion retailer headquartered in Los Angeles, California. Needle Holdings Inc., through its subsidiary, offers retail of fabrics and crafts. The company was incorporated in 2010 and is based in the Hudson, Ohio. Freeman Spogli & Co. is a private equity firm dedicated to investing with management in middle market companies in the consumer and distribution sectors through leveraged buyouts and recapitalizations. The firm invests in the United States. Reliance Steel and Aluminum Co. (RSAC), is the largest metals service center operator in North America and is headquartered in Los Angeles, California. The company provides metals processing services and distributes a line of approximately 50,000 metal products, including aluminum, brass, alloy, copper, carbon steel, stainless steel, titanium, and specialty metal products to fabricators, manufacturers, and other end users. Since its inception, Guess has remained committed to being a worldwide leader in the fasion industry. This clothing brand and retailer markets clothing for both men and women as well as other fashion accessories such as watches, jewelry, perfumes, and shoes. Guess delivers products and services of uncompromising quality and integrity consistent with their brand and their image. They are committed to listening and responding to the needs of their customers, associates, and business partners, and to honoring their individual values. Tutor Perini Corporation is one of the largest general contractors in the United States. Headquartered in Sylmar, California, they work on many construction projects throughout the United States and Canada. Specific areas of focus are civil infrastructure such as bridges, highways, tunnels, airports, mass transit systems; building infrastructure like healthcare, education, municipal government, hospitality and gaming, multi-use; and more. Warehouse & Market. Friend & Neighbor. Us & You.